Joseph’s dream was almost destroyed by frightful circumstances. But God saw to it that the dream’s fulfillment had international consequences. There was a far bigger purpose at work than Joseph even realized. And the same may be true for you. To desire guidance is godly, but how are we to know God’s will? 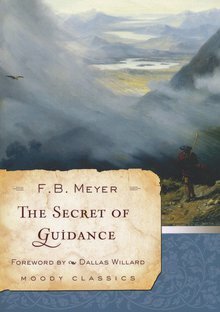 In The Secret of Guidance, F. B. Meyer shows us how. By ordering how we can experience guidance—through facts, faith, and feelings—as well as addressing how to handle burdens and sorrows, Meyer’s work offers much assistance.